So much at stake against Troyes! 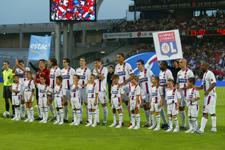 While OL has begun the new campaign with 10 points from four gamesz as it did last season, the same cannot be said of Troyes who this time last season, were undefeated and with six points on the board. “My only concern is to be in Ligue 1 next season… and for that we need 40 points,” declared Jean-Marc Furlan before the start of the championship. So the team that recently recruited Gigliotti, Ferreira and Barbosa still has 38 to go. Troyes aren’t one of France’s biggest clubs, back that caused OL problems all the same in 2004-05 in going down twice by a single goal, having led at the Stade Gerland thanks to a header from playmaker Nivet. Yet they have developed a nasty habit of always trailing in each of their four games so far this season… a bit like Lyon. 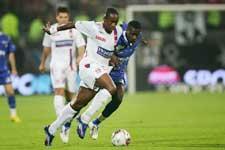 Before hosting Nice, a partner in crime at the bottom of the standings, Troyes have nothing to lose on Saturday night. “The whole squad has to be perfect, all have the same desire... and OL have to be a little off colour, like they were against Toulouse...” That’s is Troyes coach Furlan’s main recipe for success against OL. The 14 internationals have all returned fighting fit to Lyon and some, such as Govou, are even on a high. Aside from Claudio Cacapa, Gérard Houllier can draw upon his entire squad. Things are about to get a little more hectic for the quintuple French champions with the Champions League commencing in midweek. Yet the pre-match talks will be identical: You can only move happily from one competition to the other on the back of good results. Twelve months ago, OL moved top of the Ligue 1 standings at the end of Week 5, never to relinquish the lead, and that was just one week before the start of their European campaign. 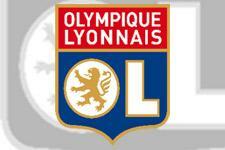 Don’t forget that Les Lyonnais won all the matches immediately preceding their ten continental rendezvous last season. Already boasting the best attack in the league, the Olympians eased through the month of August despite missing a host of their World Cup stars, the uncertainty of the transfer market, the departure of Djila Diarra, the arrival of new faces and three away games out of four. Now the team has to confirm their form at home after being held by Toulouse, and also avoid this habitual goal, more or less evitable in each game so far. “We’ve got all that in our heads. The players are focused on getting the result and playing well. That’s the best way to prepare for a Champions League clash. But don’t right off this Troyes team. You’ll see, they play good football despite their place on the table, and they have been outplayed yet.” Gérard Houllier was delighted to get his entire squad back from international duty with a clean bill of health with a busy calendar month starting now, as well as claiming his sqauad are more mature this season.